After a few seasons of wearing the thick cotton long sleeved kits, United introduced an alternative kit in 1967, with a short sleeved version of the Home kit. This kit was basically a white V neck T-Shirt, with black collar and cuffs, with the DUFC Shield on the left of the chest. A match picture from a League Cup tie versus Rangers at Ibrox in August 1967 shows United wearing this kit, although it has still to be confirmed if this was its debut. 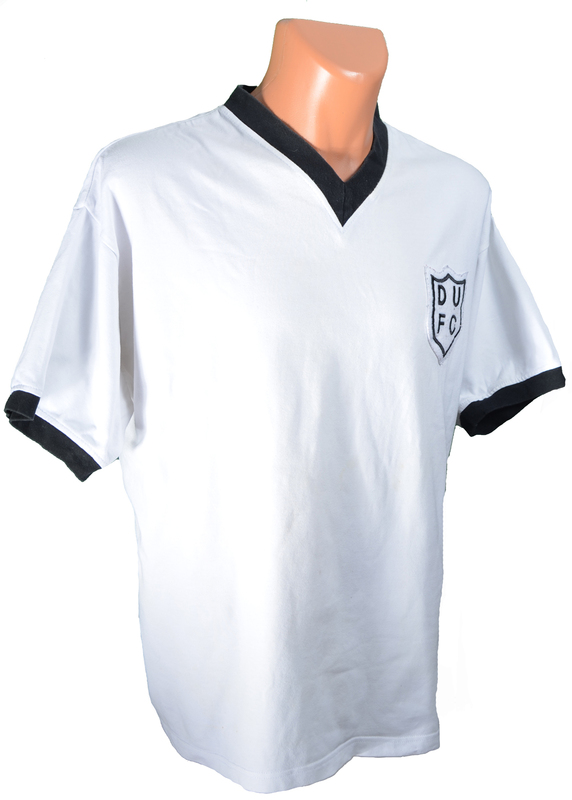 This cotton shirt was slightly thinner than the usual Home kit at the time, making it ideal for wearing in the summer months, and was used during the Club's 1969 tour of the USA.